Stroup & Martin P.A. 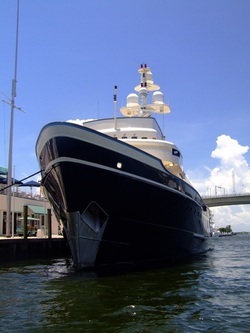 - Fort Lauderdale Law Firm | Leaders in Maritime Law | Stroup & Martin, P.A. Combining their 45 years of legal experience, James W. Stroup and Farris J. “Trey” Martin, III founded the firm of Stroup & Martin, P.A., which has become internationally recognized for the the quality of its maritime law attorneys. Their Fort Lauderdale-based, statewide Florida practice focuses on the multitude of issues that arise in marine law, from cruise ship injuries and marine salvage rights to maritime negligence and shipping regulations. The law firm of Stroup & Martin, P.A. works with individuals, businesses, insurance companies, marine-related laborers and maritime service providers. Attorney James W. Stroup is board certified in Admiralty and Maritime Law by the Florida Bar, and has been recognized by the Maritime Law Association of the United States as a Proctor in Admiralty since 1994. He is a member of the United States Supreme Court, the United States Eleventh Circuit Court of Appeals, and the Federal District Courts for the middle and southern districts of Florida, and the eastern district of Michigan. A former Captain in the United States Army (Military Intelligence Corps, 101st Airborne Division 1984-1988), attorney Farris J. “Trey” Martin, III has been licensed to practice law in Florida since 1991 and is a member of the United States Eleventh Circuit Court of Appeals, the Federal District Courts for the middle and southern districts of Florida, and is a member of the Southeastern Admiralty Law Institute. In the highly specialized world of maritime law, Stroup & Martin, P.A. stands apart as recognized experts in the field. Other attorneys seek their opinions, and clients come from as far away as China, Australia, and New Zealand. Stroup & Martin PA has the knowledge and experience to successfully navigate the complex American legal system as it pertains to marine law. 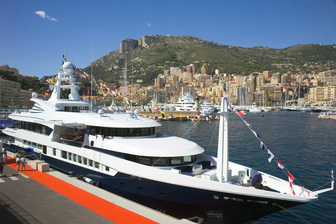 Stroup & Martin have extensive experience with litigating marine personal injury and wrongful death claims; consumer warranty claims regarding yacht and boat purchases; foreclosure of preferred mortgage liens against vessels; marine insurance disputes between vessel owners and insurers; and yacht and ship transactions. Schedule a consultation with prominent Florida maritime attorneys. Contact Stroup & Martin, P.A. online or by phone at 954-462-8808. You will sit down with an attorney who understands your needs and who will analyze the case from all angles to formulate a winning strategy. Keeping their clients’ best interests in mind at all times, Stroup & Martin, P.A. attorneys are forthright and realistic in their assessments and explain exactly what you need to know to make an informed decision about going forward with your case.